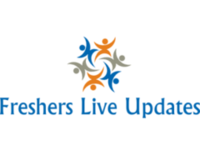 Any Graduate Fresher’s required for the position Field Service Technician / mobile Support in TVS Electronics Limited at Bangalore, Mumbai, Pune. Interested and eligible candidates who have strong skill sets on desired profile can apply online for the requirement with the link given below. Find the job description, eligibility criteria, exact venue and interview details for more information. 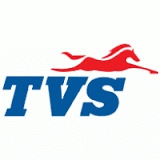 TVS Electronics Limited Hiring Any Graduate freshers 2017 for Field Service Technician / mobile Support at Bangalore, Mumbai, Pune. Candidates who have completed Any Graduate can apply for this job from TVS Electronics Limited. Candidates can Get the Field Service Technician / mobile Support Post details such as Post name, Number of vacancy, Qualification, Job Description, Candidate Profile, Company Profile and etc., from the table given below. Candidate should be Well versed on trouble shooting on ATM Machines/Mobile. Software and firmware up gradation of products. Candidates with experience in repairing of electronic products such as basis levels are preferred. Preference for Candidates who h ad completed Courses on ATM/Mobile Services.